Unsure of how to explain what social innovation is to those who asked me, but certain it was a field I wanted to work in, I had a vision board for a few years before joining Amani Institute. It had some descriptions of social innovation, including the quote by Ashoka founder, Bill Drayton: “Social entrepreneurs are not content just to give a fish or teach how to fish. They will not rest until they have revolutionized the fishing industry.” So it was a happy coincidence to be matched with Ashoka for my apprenticeship, the world’s leading network of social entrepreneurs. More importantly, I chose Ashoka because of their values and the work they do on framework and systems change. Working in the nonprofit field most of my career was enjoyable, but limiting in terms of funding and workplace bureaucracy. The thought of working for a social venture or possibly creating my own was exciting, co-creating with other social innovators and working on sustainable, innovative solutions to society’s most pressing problems. Ashoka India staff have a wonderful blend of wit, intelligence, friendliness. They usually have a jam packed schedule but make themselves available to talk with you and help you whenever you need. They are role models for people who thrive on work they are passionate about and excel in. I have been blessed with not one, but two supervisors, who are intelligent, effective communicators, and generous. They provided lunches, travel tips, check-ins during team meetings to see how we are doing, and mentoring on our social innovation projects for Amani. 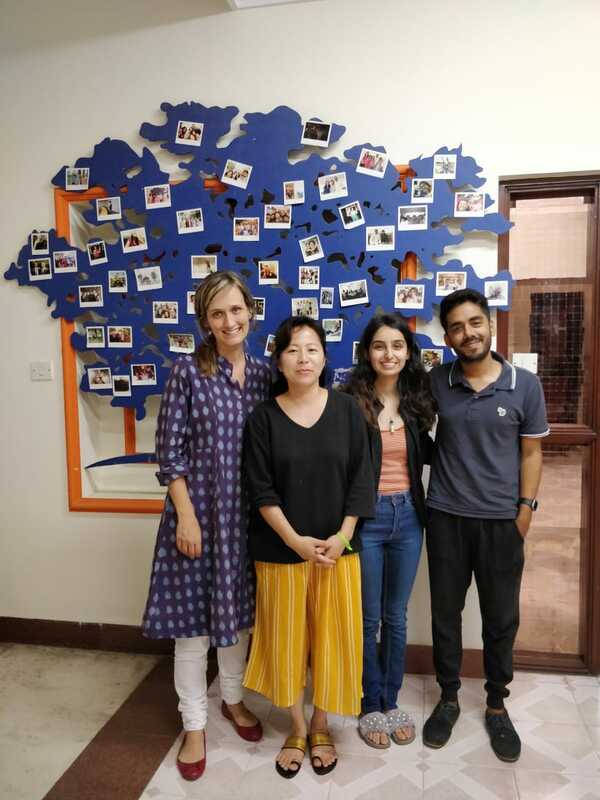 To maximize our experience and learnings, we also got to meet Ashoka Fellows throughout Bangalore, to learn more about their work and the journey that led them where they are. Some of the insights they shared are: Let locals claim problems and solutions; fail fast, learn faster; believe people are capable. Not only was it fortuitous to have my apprenticeship at Ashoka, the main project they have me and two other Amani Fellows, also placed at Ashoka, working on has to do with health, a topic I’m personally and professionally interested in. We are researching and speaking with innovators, influencers and decision makers in the health sector in India, including mental health and the environment. Not only is it a privilege to speak with prominent professionals in the health field, we are able to learn about innovative solutions happening all throughout India, such as telemedicine providing healthcare access to rural populations. My work with Ashoka and my long-time interest in health moved me to do my project on limited access to healthcare in rural India. The majority of the population lives in rural areas, yet the majority of doctors are found in urban areas. This issue is multi-layered and there are a number of reasons for why this problem exists. 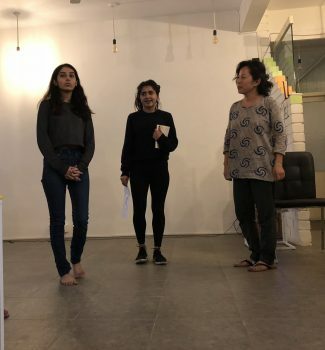 As I am in the prototyping stage of my project, how Ashoka Fellows do their work, dealing with the root cause of a problem, guides my thinking. Hye Mi Ahn is from the U.S. and is an Amani Fellow in our Social Innovation Management Program in Bengaluru, India. Would you like to accelerate your career in social innovation? Applications are open for our next Social Innovation Management Program in Nairobi, Sao Paulo, and Bengaluru. Learn more and apply here.